These notes provide some historical perspective on the age of sub-saharan African terracotta, location of origin, cultural traditions, and pricing. 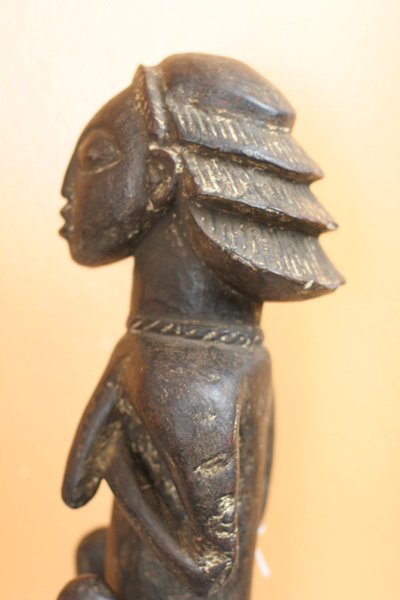 While developing an African Tribal Art collection the main source for great older pieces are auctioned collections whose owners have developed their own specific sub-collections. Source: Bernard de Grunne; The Birth of Art in Black Africa, 1998 pp.19. Description : Jos Plateau region, Central Nigeria, West Africa, 500 BCE to 200 CE. Terracotta with heavy temper and remains of a finer burnished surface slip. 6-1/2″ H. Mounted on steel base. Classical Nok terracotta was first found in 1943 deep within a tin mine, near the present-day town of Nok, situated on the Jos Plateau in central Nigeria. The exact use of these portrait-like figures has yet to be discovered; none of these sculptures has ever been found in situ and any remains of ancient structures are practically non-existent today. However, it has been suggested the hollow terracotta figures, which this head came from, were ancestral effigies kept in shrine houses. This hollow terracotta example is made of a coarse, quartz-tempered clay. The features were hand-modeled and show a remarkable sophistication for such an early date in Iron Age, Sub-Saharan Africa. The style of Nok facial features shows similarity to more historic and contemporary bronze and wooden sculptures found among the Benin and Yoruba peoples of Nigeria. It has been said these ancient figures represent the beginnings of black African art. 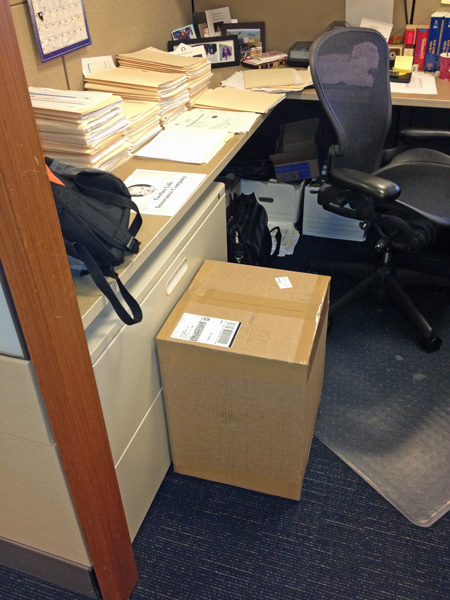 Provenance: Eugene Behlen, once head of the dept. of exhibitions at the Smithsonian Institution, Washington DC, for 25 years. Acquired prior to 1987. 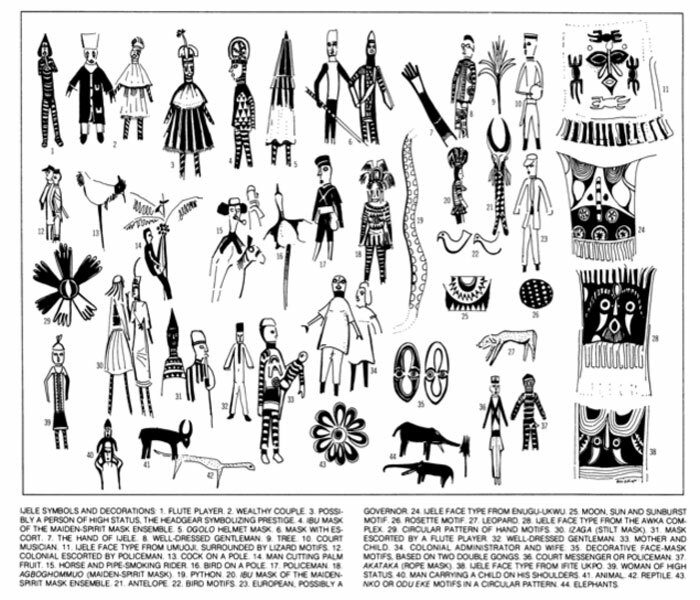 Warren M. Robbins and Nancy Ingram Nooter, African Art in American Collections (Washington, D.C.: Smithsonian Institution Press, 1989), 67, fig. 41. Susan Vogel and Jerry L. Thompson, Closeup: Lessons in the Art of Seeing African Sculpture from an American Collection and the Horstmann Collection, exh. cat. (New York: The Center for African Art, 1990), 12829, fig. 55. “Acquisitions, July 1, 2005June 30, 2006,” Yale University Art Gallery Bulletin (2006): 222. Art for Yale: Collecting for a New Century, exh. cat. 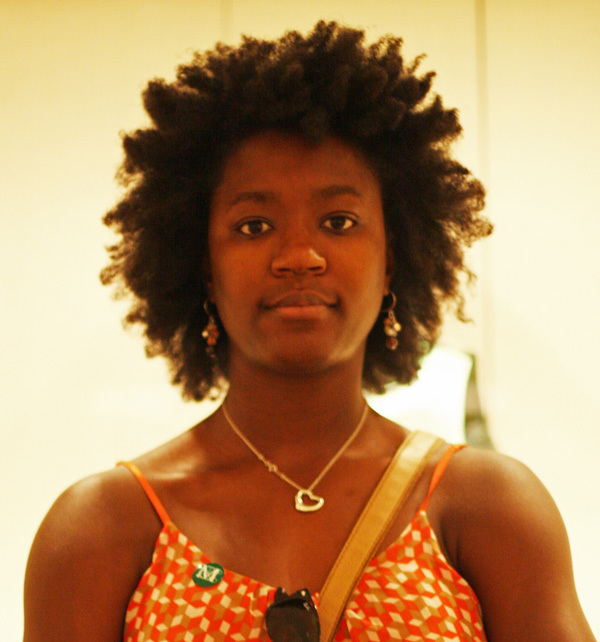 (New Haven, Conn.: Yale University Art Gallery, 2007), 178, pl. 162. Frederick John Lamp, Accumulating Histories: African Art from the Charles B. Benenson Collection at the Yale University Art Gallery (New Haven, Conn.: Yale University Art Gallery, 2012), 66, 134, ill.
Bernard de Grunne, Djenné-Jeno: 1000 Years of Terracotta Statuary in Mali (New Haven, Conn.: Yale University Press, 2014), fig. 12. 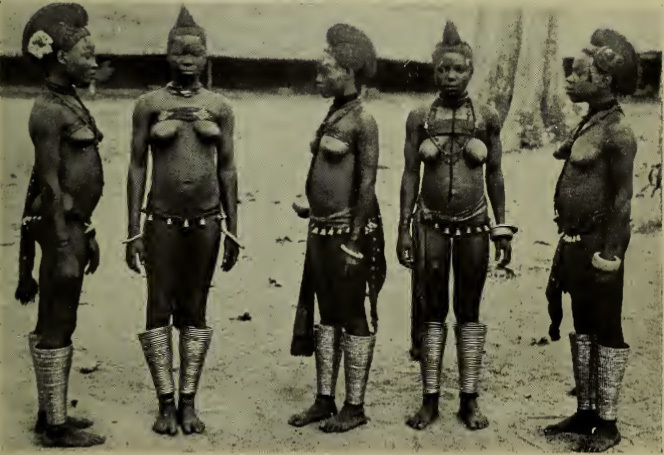 Description : Dakakari culture, Nigeria, ca. 19th to 20th century CE. This large, hollow pottery figure shows a four-legged, horned animal (maybe a hartebeest?) with ears erect and a collar of some kind around its neck; it stands perched atop a bulbous rough sphere. Pottery of this kind was observed in Dakakari graveyards through the 1940s, but it recalls that of the Sokoto (among others), the ancestors of the Dakakari who lived 2000 years ago in the same part of Nigeria. Ethnographic accounts say that some graves had up to fifteen pieces of pottery like this placed around them; these were frequently broken and a description from a Dakakari graveyard in 1944 by a visiting Englishman laments the scattered pottery around the area — but this destruction was certainly intentional. Dakakari women were the potters and passed their skills down via their daughters. Size: 7.5″ W x 26″ H (19 cm x 66 cm). Description : Africa, Northeast Nigeria, Katsina, ca. 1st to 4th century CE. 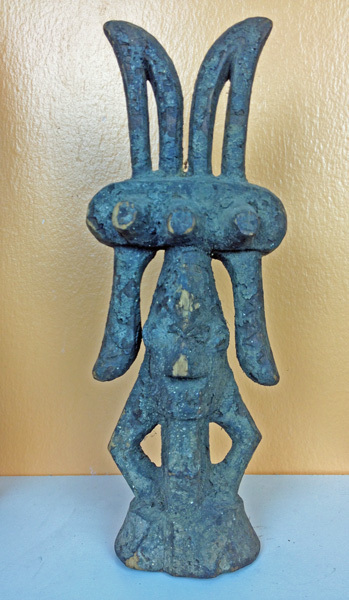 An ancient Katsina terracotta janus (double-headed) figure that once belonged to a statue that would have measured approximately 15 to 30 inches tall. Both sides of this piece depict a bearded male. Very few Katsina janus heads have been documented, according to scholar Claire Boullier. What’s more, the shared stylings of these heads demonstrates that they were actually created by a single sculptor which corroborates the progressive idea that Katsina sculptors possessed individualized styles almost 2000 years ago. This said, the sculptor still adhered to stylistic rules embraced by the Katsina culture such as the globular head form, the half-closed eyes, short nose, and pointed chin–all characteristics adhered to by most Katsina sculptors. Additional intriguing features include the perforated ear plugs, pronounced unibrow, parted lips with slightly jutting lower lip, and elaborately incised coiffure with two applied nodules over each forehead. The visages of this piece also show traits akin to Nok figural sculpture such as elongated heads, high smooth foreheads, and elaborate fanciful coiffures, as Katsina visual culture was most certainly influenced by the Classical Nok culture. Scholar Claire Boullier also points to similarities between Katsina and Sokoto sculptures that may prompt further exploration of the networks between these ancient African cultures. 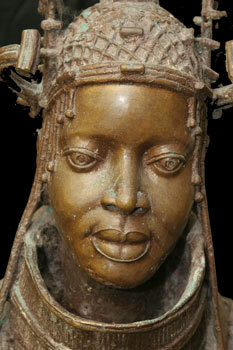 For discussions of a similar Katsina janus head see Claire Boullier, “African Terra Cottas. A Millinary Heritage, musee Barbier-Mueller and Somogy (eds), 2008: cat. 81 p. 190. Description : Africa, Tenenku culture, Mali, ca. 13th to 16th centuries CE. This is a seated terracotta humanoid figure on a slight platform; the figure has elongated facial features, bracelets and anklets. It appears to be female but may also be interpreted as having both male and female characteristics. 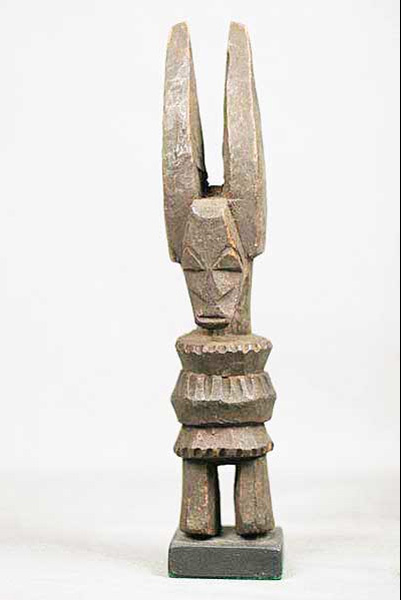 The Tenenku people, part of the Malian Empire, are known for their powerful anthropomorphic and zoomorphic sculptures. The Islamic Malian Empire lasted for four hundred years; the emperors traced their ancestry back to Bilal, Mohammed’s muezzin, who was thought to have journeyed to the west and settled the area of modern day Mali. The empire had consistent contact with the rest of the Islamic world, and history records visits by emperors to Mecca. Interestingly to us, the Malian Empire often absorbed smaller cultures, like the Tenenku and their rough contemporaries the Bura, without changing their artistic styles — so a piece like this one was made around the same time as the completely different looking Bura grave markers! Unfortunately at this time we do not know the function of these large, heavy pieces of pottery — but hopefully with more research, we will soon find out! Description : Sokoto, modern day Nigeria, ca. 500 BCE to 200 CE. This is a hollow terracotta shrine figure showing a full body, with the head larger proportionally than the rest and a cylindrical body; it is a male figure with arms and legs curled, wearing elaborately coiffed hair and a beard. Sokoto state in modern day northwest Nigeria is in the Niger River Valley, at the confluence of ancient trade routes and roughly contemporary with the Nok culture to its south. Very little is known of the ancient Sokoto culture; Bayard Rustin, who originally collected the Sokoto collection for the Yale University Art Gallery, recorded that most terracotta pieces like this one were found in large manmade mounds. Characteristic Sokoto figures are large, hollow, thin-walled, and low-fired human figures with heavy eyebrows and beards. They are made of a rough earthenware mixed with quartz and mica, surfaced with an ocher or mica schist slip (some of which has worn through on this figure). This slip would have been burnished with a smooth pebble. Description : West Africa, North Ghana, Koma, ca. 16th century CE. A female pottery figure elaborately detailed with traits characteristic of the Koma figurines including an elongated head with large coffee-bean shaped eyes, as well as other bold features, especially a pronounced chin, and stylized coiffure. She is further adorned with an applied necklace/collar, loin cloth, armlets, and bracelets. Striking too are her extremely long fingers, pronounced breasts, and “outie” navel. Koma figures were first discovered in the 1980s during archaeological fieldwork directed by Professor Ben Kankpeyeng (University of Ghana). Created by a previously little-understood people in what is known as Koma Land, the figures are often fragmentary. This example, however, is in excellent condition. Although there is a paucity of literature on how such figurines were used, scholars have suggested they were used in special ceremonies and rituals in which the spirits of the ancestors were invoked. This piece has a concave receptacle atop her head, and it is possible that liquid offerings or libations were poured into it. Some have associated this practice with healing rituals. Description : West Africa, Niger River Delta, Igbo, ca. late 19th to early 20th century CE. A fascinating terracotta shrine effigy created by the Igbo peoples of the Niger River Delta, its unusual form elaborately adorned at the top end with two human visages with bold coffee bean shaped eyes and scarification marks upon their foreheads beneath what appear to be two beak-like forms, the opening between holding an old wick. Across the body of the vessel are two magnificently modeled salamanders and cross-hatched designs perhaps representing additional scarification marks. Description : Africa, Bura /Asinda / Sikka area, present day Niger and Burkina Faso, ca. 1000 to 1500 CE. This is a thick-walled, smooth terracotta cylindrical figure with three nubbins representing sexual organs, a prominent nose, small mouth and eyes, and decorated hair. Unfortunately, little is known about the culture that lived in this area when this statue was made, because it was only recently discovered and there have been very few scientific excavations. What has been found are large cemeteries with impressive necropoli, which provide evidence that this was a wealthy, complex society. They buried their dead in conical urns, often topped with figures decorated with incised or stamped patterns like this one. Provenance: Ex-Dr. Peter Arnovick Collection, Los Altos, CA. Description : Ca. 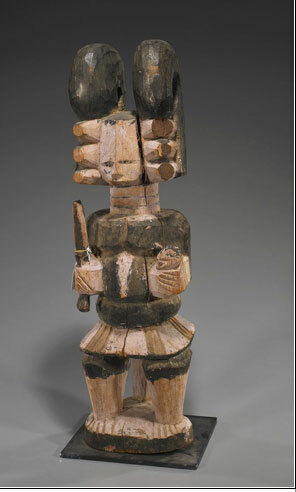 mid 19th century, Akan Tribe, head of female, used and placed at the grave site, measures 10″ tall. 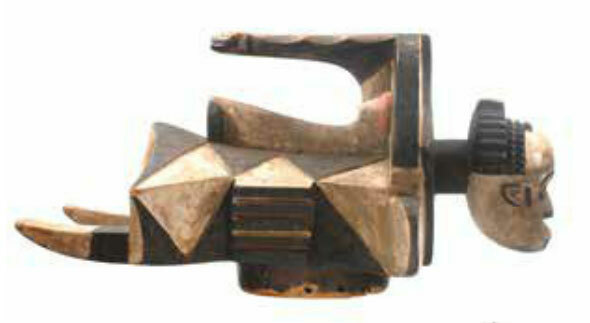 The Ikenga is in the image of a horned male figure made out of wood. •	In its simplest form, it consists of only a cylindrical block and projecting “horns”. The horn symbolizes the aggressive, assertive, and powerful nature of the male animal. •	The more elaborate type of Ikenga is a standing or seated male figure with a fully realized head and limbs which usually holds a machete in the right hand (hence “the cult of the right hand” – typically the hand of strength), and a severed head in the other. What is the Origin of Ikenga? 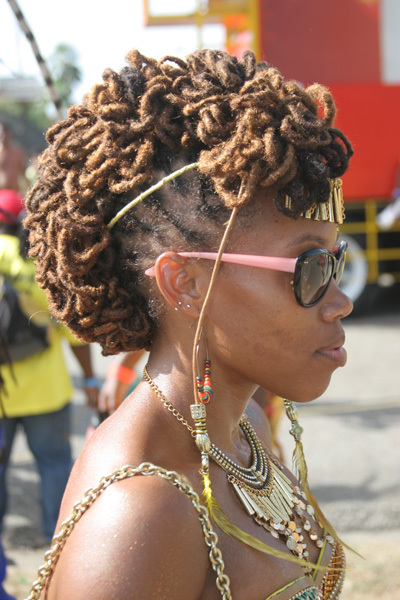 Would you ROCK a Tribal Hairstyle? 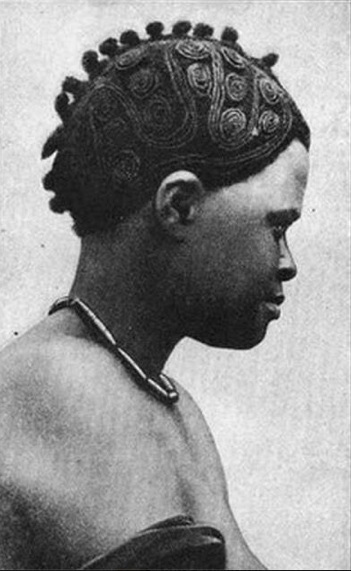 Not many people can rock a bona fide African Tribal hairstyle. 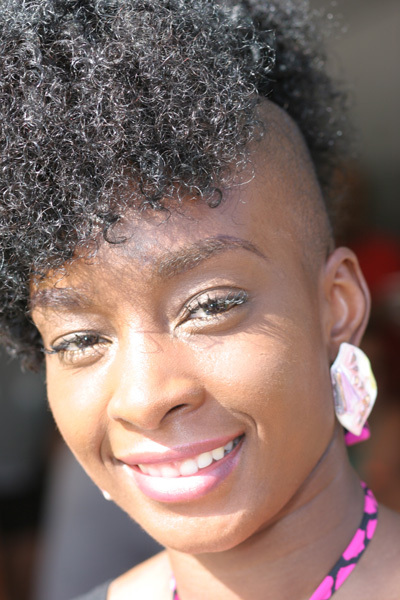 Working women need hairstyles which are easy to manage, maintain, and are not too heavy on the wallet. 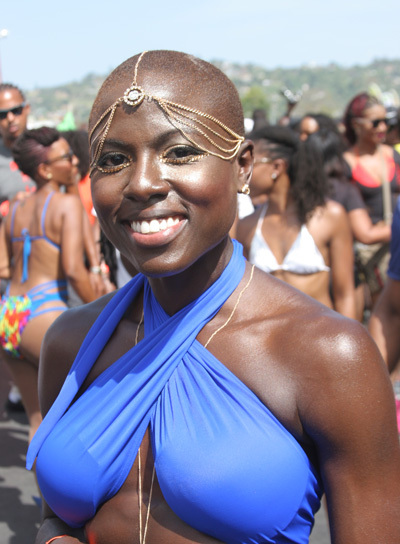 Lately however I’ve noticed a comeback (resurgence if you will) of natural hairstyles with the afrocentric look, driven in part by the definition of beauty that has become more inclusive and puts a premium on confidence, uniqueness, health, and color. 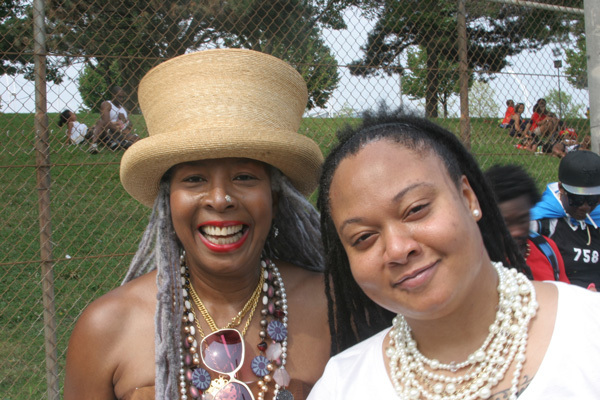 The other driver to this is the willingness of African American women to quietly embrace their afrocentric origins, a non-quiet rebellion against the societal norms of styles based on long, straight hair. Let’s start with the basic minimum/maximum look, with the minimum look gaining ground on the heels of the award winning performance of Lupita Nyong’o in 12 Years a Slave (2013) . Very few women are daring enough to pull off either extreme. The prize for the most visually stunning goes to versions stemming from the 1800’s to the early 20th century Igbo style. 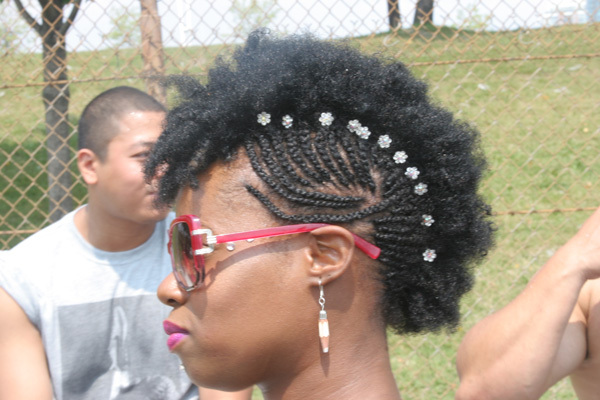 In African Tribal art this hairstyle is represented by the Agbogho mmwo , or “maiden spirit,” masks worn by men at festivals that honor important deities. 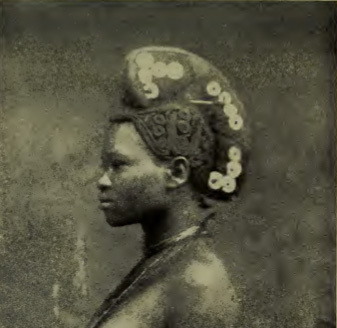 They represent the Igbo ideal of female beauty: small, balanced features, elaborate hairstyles, and delicate tattoos. One of the fascinating aspects of the many variations currently in fashion is the wide options of micro-braid styles available to be used. I think this will grow in popularity in coming years. 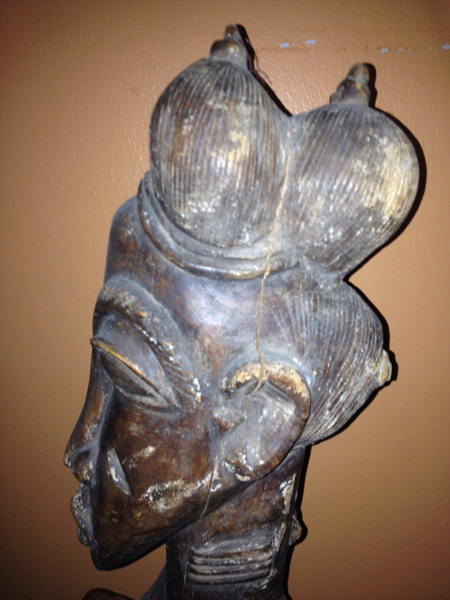 One lesser known style was very popular among the Luba tribe and reflected in many different forms of Luba sculpture. 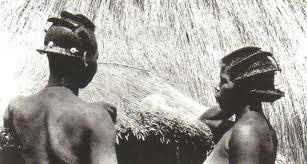 There are too many African tribes with identifiable hairstyles to mention (Mangbetu, Kuba). It is a fascinating aspect of Collecting African Tribal Art which can assist in learning one’s history and provide clues to cultural norms and values. The African Spirit in the context of Religion. Driving through Philly today I saw several people both middle-aged, and young folk, from all walks of life, seeking alms or money at traffic stops. Faced with the “realization” of limited resources (since one can’t help everyone) I mollified my conscience through the application of moral logic. The thinking followed the path that while it is “good (? )” to wish love, peace, and happiness to others, the “actualization” of tangible lifestyle changes is usually a personal one. The problem with logic of course is that it doesn’t necessarily solve the problem or alleviate the plight of others. While I have not embraced any particular African religion per se I have developed an appreciation of aspects of the “African Spirit” through (what I can only describe as fascinating research on) African Tribal Art which has yielded the occasional eureka moment and helped me question and put into perspective my own religious belief system. I’m not seeking the “home run” on this issue, just looking for a quiet place (or vantage) where I can compare, contrast and move on with a better understanding. Consider the example of the “Elephant Spirit” mask. 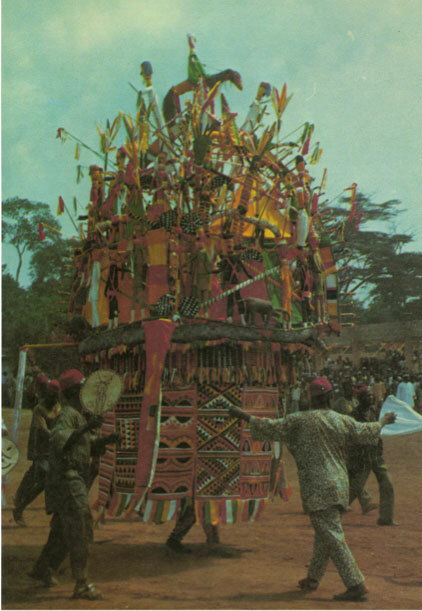 The Ogbodo Enyi masquerade was used in the process of male socialization in the Igbo tribe. Ogbodo Enyi (“spirit elephant”) is not specifically an elephant spirit but the elephant is a “fitting model” because it’s “singular power and endurance also characterize the volatile spirit” of the adult male. It is this level of “abstraction”, modeling, and “transposition of spiritual characteristics” that I find particularly creative throughout the ethos of African Tribal Art. If a person considers his belief in the existence of a higher being or not, this can be mapped on a one- dimensional continuum of “atheist to believer”. We can also up the level of complexity by several orders of magnitude and model the mapping as a “realization-actualization-need-choice” transitive point bound by let’s say four dimensions. At this point it would be clear that the mechanism behind the choice of a religion is neither “right nor wrong” (as opposed to the flawed logic of an analysis which is correct/incorrect). The dichotomies of “right/wrong”, “sin/sinless”, “good/bad” are based on a collective framework of rules used to determine conformance levels, much in keeping with the needs of a society to promote rules related to standards of behavior. In both society and religion there is also a high propensity for the common existence of a “profit motive” which is tied to sustainability and longevity. As a result one may find the need to ostracize differences in opinions and suppress or ratify changes in thinking by using processes designed to obfuscate rather than clarify. In a nutshell, it is far easier to apply punitive measures than to change rules or even make slight adjustments in keeping with different scenarios. From an external perspective it may also be necessary to protect one’s way of life by taking a combination of tactical, strategic, and prophylactic measures. The choice of the higher power or the religion we ascribe to denigrates simply to a personal preference. The reasoning behind the preference or “the why” is related to “personal drivers” that can be diverse, and vary in complexity from combinations of timing, exposure, environment, value and reward, need, and experience. The irony is that our closeness to God may be more linked to our ability or lack thereof to accept religious differences in others rather than to belong to a specific religion, or to follow a certain code. In his analysis of the Igbo concept of their cosmos, M. A. Onwuejeogwu (1972) observes that their universe is divided into four major departments ‘uwa’ refers to the world of man; ‘mmo’ refers to the ancestors; ‘alusi’ includes forces such as the river force ‘Idemile’; and ‘Okike’ is God. 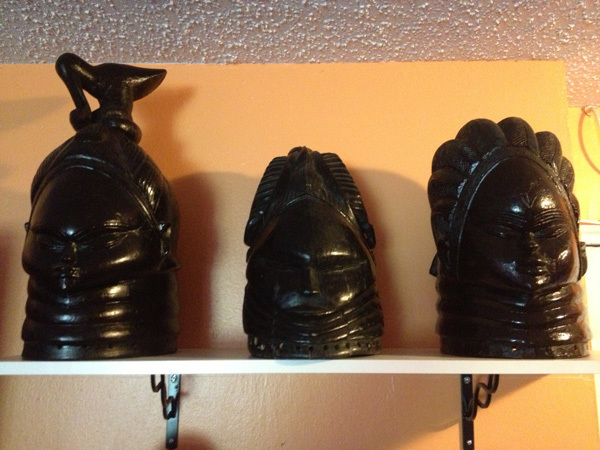 These four divisions are conceptually united on the Ijele headdress. The size ranges from over four to as much as six meters in height, with a diameter of about three meters. 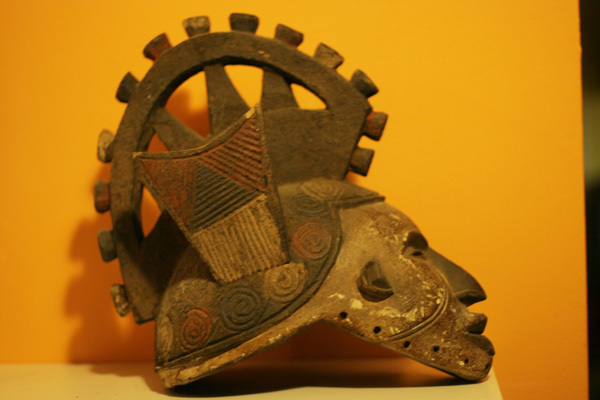 Ijele is by far the most monumental of all Igbo masks, and makes an appearance once every 25 years. The structure is an open cone framework at the top supporting attached figures, and a cylindrical base. There may be some connection to the architectural forms used by the Northern Igbo, and hence by extension the community relation between all facets of family and society. 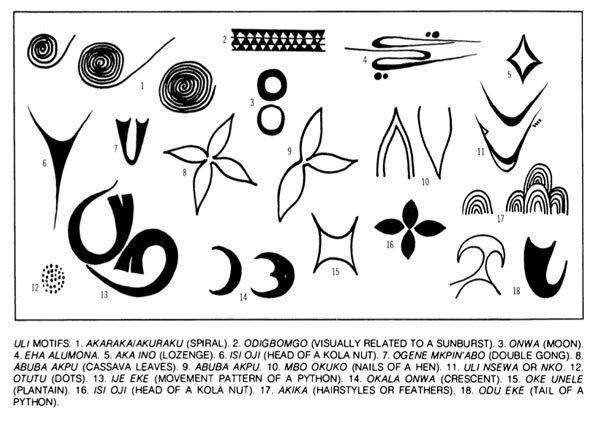 Ijele Community forms and symbols. the animals and the forest. Panels of patterned velvet hang from the bottom of the frame. In body painting, these designs are called ‘uli’ patterns, named after the juice or indigo used as the painting medium. Ijele is also a leading spirit (mmuo). As a rule, Igbo masks do not represent specific spirits but rather dramatize particular attributes of humans, animals, spirits and ancestors. 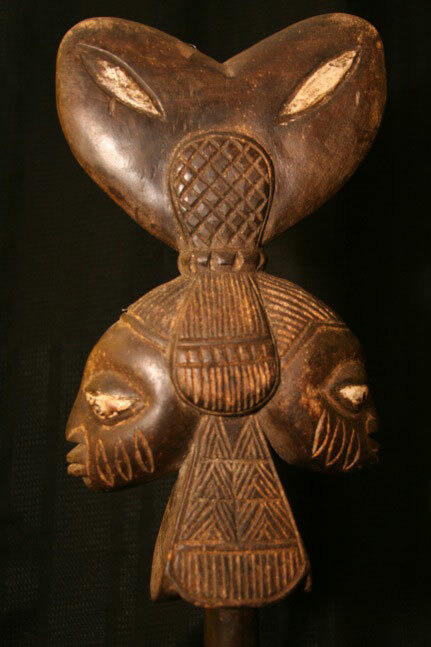 However, since some Igbo masks dramatize the close parallels between the living and the dead, as does the maiden-spirit mask ensemble, which Ijele resembles in terms of style and artistic tradition, one may infer that the leading mask Ijele incarnates those venerated ancestors to whom a supra-sensible power had revealed the land and how to prosper on it (Davidson 1969). 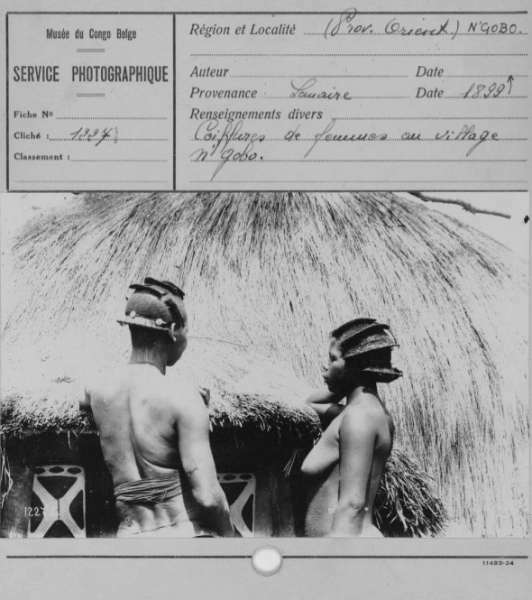 Reviewed work(s): Source: African Arts, Vol. 11, No. 4 (Jul., 1978), pp. 42-47+95 Published by: UCLA James S. Coleman African Studies Center Stable URL: http://www.jstor.org/stable/3335343 .